Lexus's LF-1 Limitless concept showcases the brand's autonomous technology wrapped up in sleek SUV styling. DETROIT -- Lexus and Infiniti are using the Detroit auto show to test new ways to regain momentum against rival German automakers BMW, Mercedes and Audi in the U.S. The Japanese luxury brands are fighting to gain ground in the U.S. luxury market as Audi and Mercedes have expanded sales, and domestic automaker Tesla has provided a fresh alternative to the established brands. Lexus, Infiniti and Acura launched in the U.S. market in the late 1980s and took advantage of quality problems at Audi and a lack of innovation at the then-leading domestic luxury brands in the market, General Motor's Cadillac and Ford Motor's Lincoln brand. Now, the structure of the U.S. luxury vehicle market has changed. Four brands - Mercedes, BMW, Audi and Lexus dominate sales. 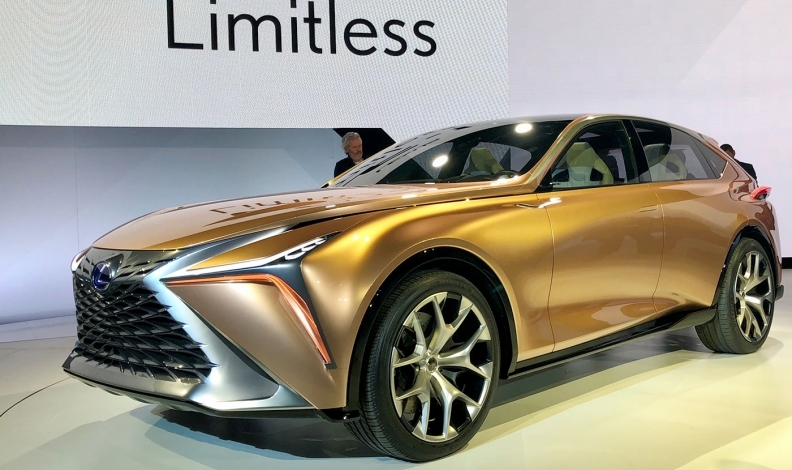 Lexus unveiled its LF-1 Limitless SUV concept in Detroit, signaling that the brand may start to focus more on SUVs than its traditional large sedans. The LF-1 presents a sleek crossover form with a system called "chauffeur mode" which allows the driver to take their hands off the wheel and let the SUV handle most of the driving. The LF-1 also previews a futuristic navigation technology that anticipates where the driver is going based on driving habits and history, and provides hotel recommendations or other concierge services. "We don't want to be the race car brand; we don't want to be the quiet ride brand. We want to be the brand which is emotionally connected with the customer," said Cooper Ericksen, vice president of U.S. marketing for Lexus. Last year, Lexus brand suffered a 7.6 percent slide in U.S. sales. At Honda's Acura luxury brand, 2017 volume fell 3.9 percent from 2016. Nissan's Infiniti pushed up sales by 11 percent, mainly by selling almost twice as many SUVs as cars. However, Infiniti's total 2017 sales of 153,415 vehicles put it behind the leading Germany luxury car brands, as well as Acura, Lexus and Cadillac. The Infiniti Q Inspiration concept has no pillar at its rear door, and the back of the vehicle slopes sharply like a fastback. 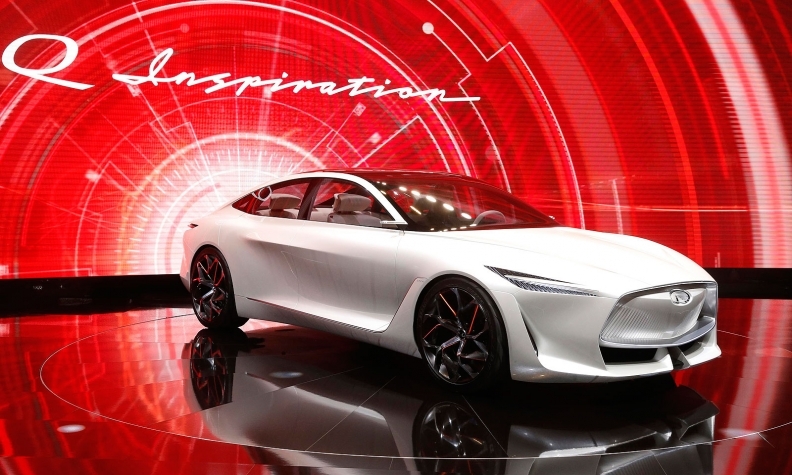 Infiniti too unveiled a future sedan concept in Detroit, powered by a high efficiency gasoline engine. While the prototype is not electric, its styling might appeal to customers of the popular Tesla Model S.
"We don't look at Tesla and try to do the same idea of luxury, but there has been a natural evolution of luxury," Infiniti's executive design director Karim Habib said at the Detroit show earlier this week. Tesla, meanwhile, has gathered more than 400,000 orders for its Model 3 sedan, which is just starting to reach customers as the automaker tries to iron out production problems.